Interested in applying for a position as a RN? 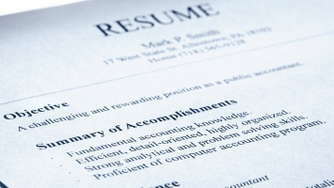 Here's a resume template to get you started. Highly trained and experienced. Considered by supervisors to be an excellent emergency room nurse. Strongly motivated, provide quick, accurate assessments, and work effectively with doctors and other ER staff. Develop excellent rapport with patients. STAFF R.N. - EMERGENCY ROOM - In this busy, twenty two bed emergency room, work with up to sixty patients per shift. As the triage nurse on the seven nurse staff, stabilize patients, make critical decision, and handle the flow of patients. Receive a high number of trauma patients. STAFF R.N. - EMERGENCY ROOM - Night shift charge nurse for this eight bed emergency room. Worked with many cardiac, respiratory and psychiatric emergencies. Independently assessed patients and initiated diagnostic procedures. Ordered x-rays and lab tests. Consulted with patients by telephone and determined appropriate actions. STAFF R.N EMERCENCY ROOM - Performed all emergency room functions at this sixteen bed emergency facility. Trained nursing students and supervised the outpatient methadone treatment program. Also assisted in the minor surgery department and the bronchoscopy department. STAFF R.N. EMERGENCY ROOM - Treated many motor vehicle and sawmill accident trauma patients at this twelve bed emergency room. Charge nurse last ten months. Also functioned as mobile intensive care nurse working by ambulance with an EMT and respiratory therapist. Taught IV therapy, CPR, and assessment skills to EMT's as part of an extensive training program.